The RX SUV is one of the best selling vehicles in Lexus lineup. The upcoming version can be expected to arrive in late 2018 as 2019 model. This year will also bring a stretched version of this SUV – the RX L. This version will have sevens seats and three rows. 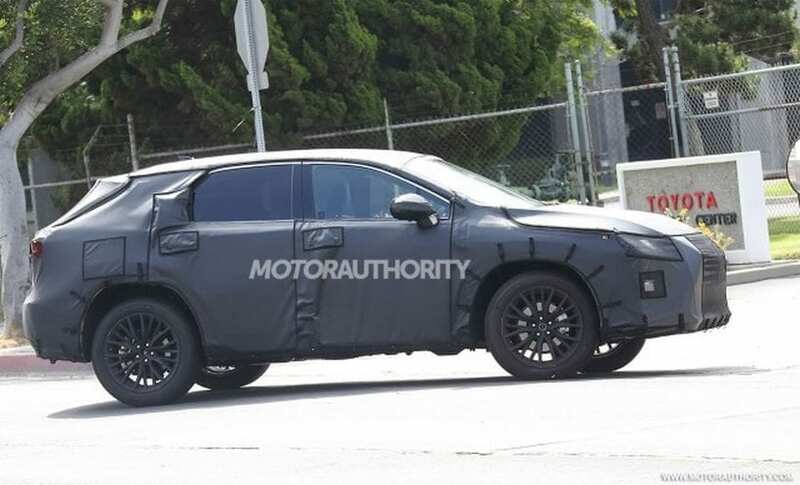 The ongoing iteration hit the market in 2016, so you shouldn’t expect too many changes on new 2019 Lexus RX. There will, of course, be some updates but nothing groundbreaking. From the first look at spy photos, we can tell that novelties are prepared for headlights and taillights and pieces of the front fascia. One of the things that were always on the plus side of RX is its equipment. This won’t change in the future, but it will only be improved. We’re not sure what new gadgets the Japanese manufacturer is preparing for new 2019 Lexus RX but here’s what current version offers. What’s great with this SUV is the fact that even the base version comes almost loaded. 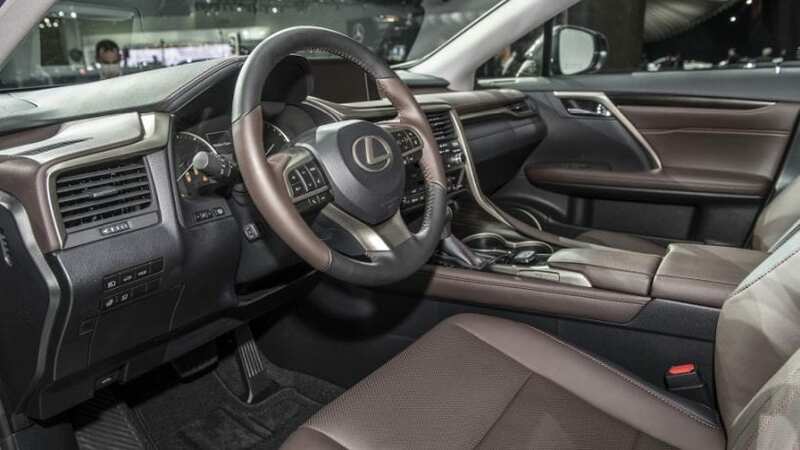 Every RX has power tailgate, a 10-way power-adjustable driver’s seat, a faux-leather interior, dual-zone climate control, 18-inch wheels, and the Lexus Safety System+. It also offers features such as a power-adjustable steering wheel, a rearview camera, and a HomeLink garage-door opener. The infotainment system, in its standard iteration, offers an 8-inch command screen, 9-speaker audio with USB, and Bluetooth. Unfortunately, it doesn’t come with the support for Android Auto and Apple CarPlay. Under the hood, you can look forward to at least one new powertrain. This unit should be slotted in between what we already have in RX350 and RX 450h. It will most likely be a 2.0-liter turbocharged inline-4 with 235 horsepower. 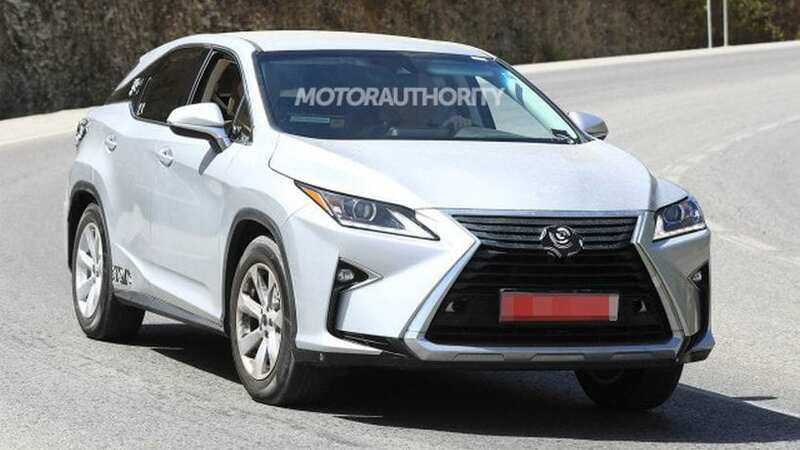 The ongoing version of RX 350 has a 3.5-liter V-6 under the bonnet that has an output of 300 hp while RX 450h has a hybrid variant of the same V-6 but helped out by an electric motor to produce 308 horsepower. Like we already mentioned, the reveal of this model should be expected in late months of this year. With this vehicle being aimed at US market the Japanese manufacturer will look to launch it at one of the North American auto shows. Our picks are either Los Angeles or Las Vegas. The sales will start with new year, probably in January or February. The price is still far away from being determined, but we believe that it won’t go too far away from what we have today. The 2018 Lexus RX 350 has an MSRP of $45,000 for an FWD version. If you want to have AWD, you need to part with additional $1,400. The RX 350 F Sport starts at $50,000. Moving on and you have hybrid Lexus RX 450h that requires another $4,000. At the top of the range is RX 450h F Sport with a price tag of $58,000. With some additional equipment and features, each of these figures will increase by a couple of thousands. But, even with cost like this RX fares quite good vs. its competitors. Toyota’s luxury brand has competitors for its premium RX in the shape of Mercedes-Benz GLE, BMW X5, Acura MDX, Lincoln MKX, Volvo XC60, and Infiniti QX50. Not a bad company to be in for sure.